Nations Press entertainment feature news What does 11:11 means? SPONSORED LINKS When you glance at a digital clock, do you often notice repeated numbers: 1:11, 2:22, 3:33? Some people claim that they see these numbers far too often, and get interested in the reasons behind it. This is, of course, not one of those phenomena that have a single right explanation (or any kind of explanation at all), but there are numerous theories suggesting what this might mean. One of these theories is very simple. It says that repeating numbers are more visually pleasing, that’s why we notice them faster. In fact, it’s just that the sight of them sticks in our heads longer. We might be seeing 10:26 just as often as 11:11, but we don’t pay any attention to the former because it’s just not as remarkable as the latter. This is connected to the concept of synchronicity – the belief that seemingly unrelated things gain meaning and significance when they occur randomly at the same time. 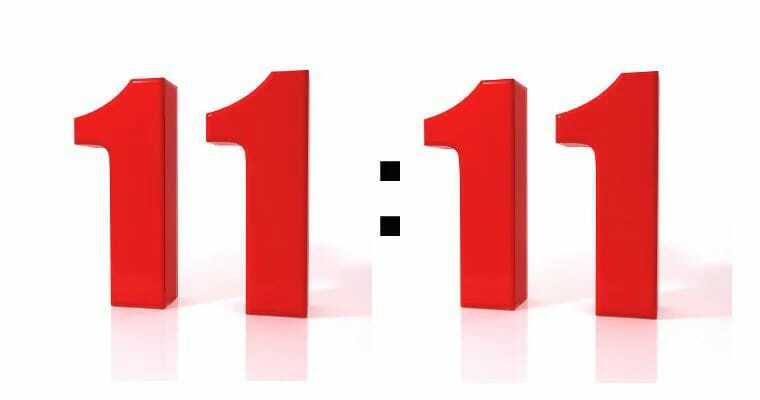 We give meaning to repeating numbers ourselves when we assign to them a special mystical value, like the belief that whenever you see 11:11 on a clock you should make a wish. From a certain point of view, this makes sense. Every time you stop to make a wish, you concentrate on the things that are of importance to you. You are focusing your thoughts and energy on something you want to influence, thus the repeating numbers really do gain a special value. There is another theory connected with the supernatural that says our spirit guides, or guardian angels, use repeating numbers as a way to attract our attention. Another hypothesis is related to numerology. This practice says that different aspects of our inner selves, starting from personality and ending with spirituality, are represented by three double digit master numbers: 11, 22 and 33. These numbers have more influence upon our lives than any other number combinations, and they also offer us a channel to our subconscious. Thus, they are a sort of a doorway to our soul. Finally, the last theory says that the simple fact of you acknowledging the moment is important. By stopping to focus on what’s in front of you – repeated numbers is this case – you are resetting your internal clock. In the end, of course, no one can say which theory is right. So choosing in which way to interpret recurring numbers is completely up to you. The best solution would probably be settling on the explanation that sits right with you and deciding for yourself what it means.